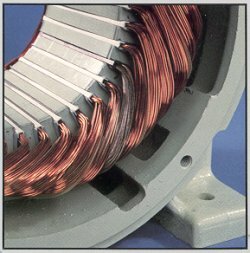 A single phased winding failure is the result of an open/cut in one of the phases that supply power to the motor. 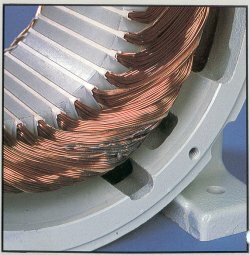 The open/cut is usually caused by a bad fuse/breaker, bad connection, an open AC contactor, or a broken power line. 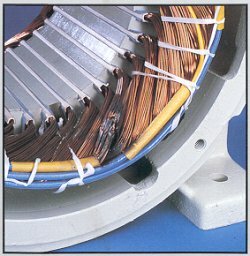 These six photos show insulation failure typically due to vibration, voltage surge, abrasives, or contamination by hostile environments. 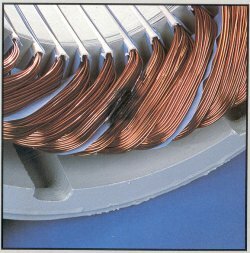 Thermal deterioration of insulation in one phase of the winding can result from unequal voltage between phases. 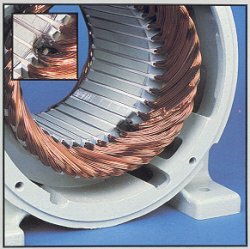 Unequal voltages usually are caused by unbalanced loads on the power source, a poor connection at the motor terminal, or a high resistance contact. 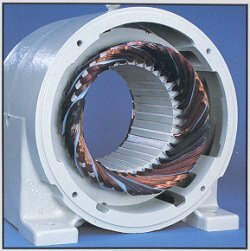 NOTE: A one-percent voltage unbalance can result in a six to ten percent current unbalance. 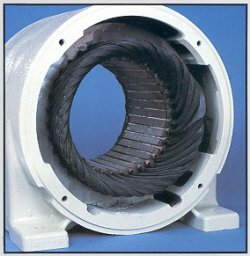 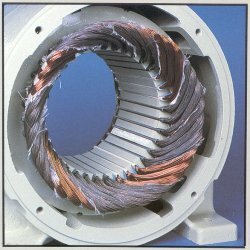 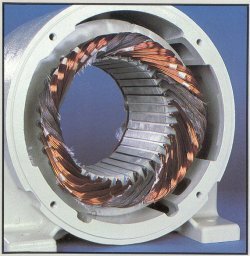 Severe thermal deterioration of the insulation in all phases of the motor normally is caused by very high currents in the stator winding due to a locked rotor condition. 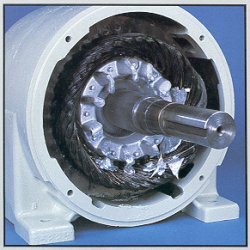 It may also occur as a result of excessive starts and reversals. 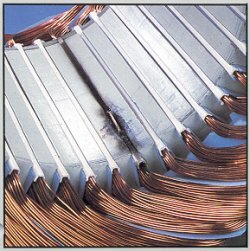 Insulation failures like this are caused by voltage surges. 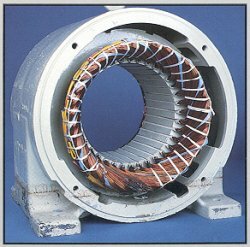 Voltage surges are often the result of switching power circuits, lightning strikes, capacitor discharges and solid-state power devices.